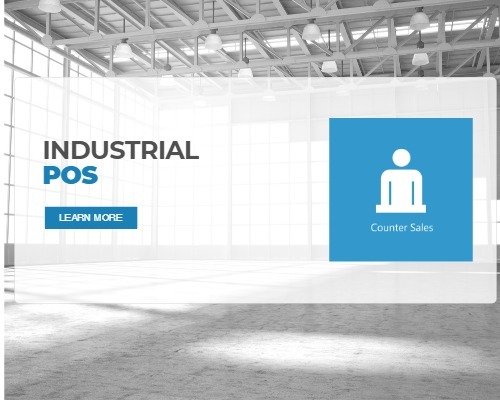 Counter Sales is an affordable and easy-to-use industrial point of sale solution built right into Dynamics NAV and Dynamics 365 that allows organizations to quickly and easily add retail capabilities to their system. Counter Sales is packed with all the features you’d expect from a powerful Point of Sale system, but in a simple and cost effective package. 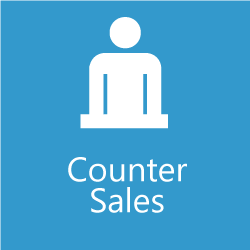 Counter Sales is ideal for B2B counter sales and smaller retail operations, such as parts counters or outlet stores. Simplified order entry screen, built right into Dynamics NAV and Dynamics365 Financials. The barcode scanning interface allows you to quickly enter sales items by scanning UPC codes or custom barcodes. The advanced search tool for items lets users quickly find what they’re looking for, without knowing how to use wildcards or caring about the order of words in descriptions. Accept multiple payment types per order, such as part cash, part credit card, and part coupon all on the same order. Accept deposits in partial or full amounts from customers for special orders, and take layaway payments. Easily reconcile your cash drawer at the end of day with the daily reconciliation report and closing process. Track lost sales with formal Lost Sales Tracking capabilities to give you insight into stock planning. Track pricing overrides on sales with formal override tracking, and the ability to prevent overrides without an override code. Your customers will appreciate the swiftness when it comes to processing their counter sales order. Counter Sales enables your team to scan barcodes so whether your customer is purchasing one, or one hundred items, they won’t get impatient watching you manually write up the order. Counter Sales is a flexible industrial point of sale solution that works with your customer, rather than forcing you to work with the system. For example, accepting multiple payment types for any given order is easy. A customer can pay half the amount owing with cash and the remaining with a credit card. Counter Sales enables your team to easily track lost sales opportunities. With lost sales reporting, you’ll see what customers want to purchase but that you’re not able to deliver at the time. Counter Sales will present revenue generating opportunities for you. Counter Sales provides an automated cash drawer reconciliation report at the close of every day. With its built is closing process you’ll quickly reconcile the day’s sales and payments. Why designate a sale to “cash” when Counter Sales makes it easy to allocate sales to new and existing customers. Quickly look up past orders by customer name and generate reports to see who your biggest customers are. Your team will appreciate the simple order entry interface that enables them to easily search for items and complete a sales order quickly. The “Take Order Wizard” makes it simple to add cash sale customer details for future marketing activities. Speed up the checkout process when you scan items directly into the industrial point of sale system with a touch-friendly interface. 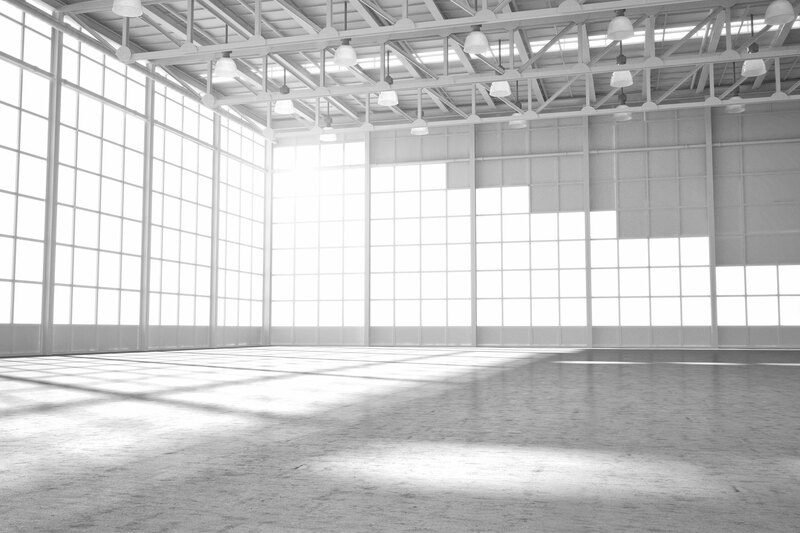 Eliminate manual part look-ups and reduce errors. Quickly locate items using the advanced search tool. Find products by item number, description, extended text, and cross references. Use the Related Items function to quickly view items for upsell, or to locate substitutes for out of stock items. Counter Sales enables you to accepts multiple payment types per order. For example, a customer can pay for half the order with cash and the remaining amount with a credit card. Define your own payment types, such as the credit cards you accept, coupons, or gift cards. Accept deposits in partial or full amounts, including tax, for cash or account customers. Take multiple deposits per order to handle layaway deposits or payment plans. Counter Sales makes it simple to reconcile at the end of the day with its automated daily cash drawer reconciliation report and closing process. Enhance sales opportunities with lost sales tracking, and alerts for related and paired items. Counter Sales enables you to set user permissions to allow for user-specific “override codes” in the event pricing needs to be adjusted at check-out time. Track your cash sales and manage your cash drawer with optional support from Counter Sales. Easily add a receipt printer to Counter Sales. Select existing customers or create new ones, including cash customers, using the user-friendly order wizard. Product Configurator enables you to configure complex production or assembly BOMs saving you time and increasing accuracy. See it in action – book a demo!